ERP stands for Enterprise Resource Planning. An ERP system covers almost all the business processes of any typical organisation. An ERP System uses a centralized database to integrate information related to all the business processes within a typical organisation. A comprehensive fully integrated ERP system is the backbone of any organisation – Large or small. 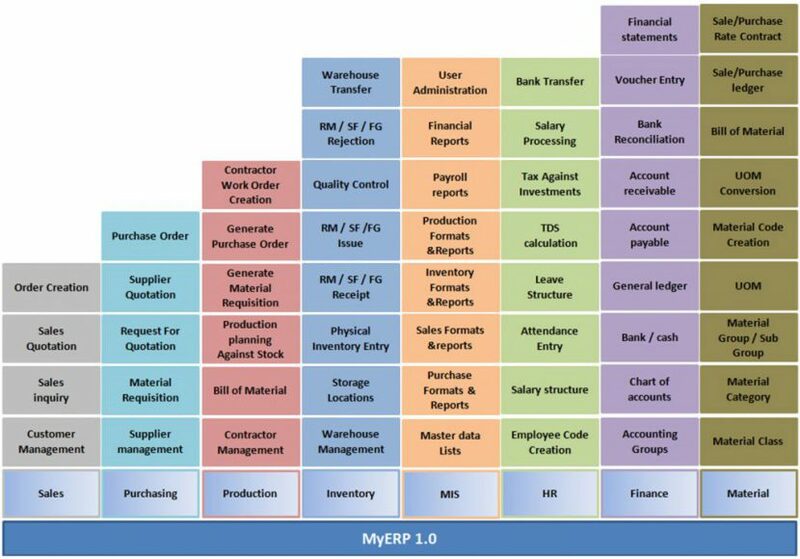 A typical ERP application should cover the basic business processes of Purchasing, Inventory – warehouse management, Sales, Human Resource and Financial accounting. As compared to the old age distributed applications that were accessible only from individual PCs, an ERP system integrates all the relevant business processes in a centralized database hosted at a central location. Users across multiple locations can access the system through a Graphic User Interface (GUI) to access and maintain information. Before the introduction of ERP systems, individual departments within the organisation used their own individual software systems. The Stand alone modules applications lacked the integration with other business processes and thus lead to a loss of productivity and complex flow of Information across the organisation. Management reporting and decision making process was lengthy as the entire data compilation it self was a time consuming task. To address these issues, Automatic developed a comprehensive ERP system (MyERP 1.0) which addresses the organisational requirements of the SME sector. 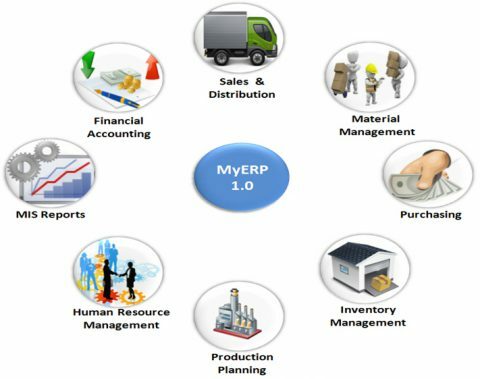 MyERP has inbuilt business processes and regulations required for SME segment which can further be customized as per the company specific requirements. A user friendly interface allows smooth transition to the system from existing processes/applications.